Recently, Toutapp’s founder Tawheed Kader went public with his decision to nix event sponsorship in the name of ‘operational ruthlessness’. At SponsorMyEvent we’ve heard this sentiment echoed over and over again when talking to marketers who are concerned that they won’t derive positive ROI from event sponsorship spend. Kader articulates a valid concern which is rooted in the mantra of the new era of marketing: Everything Must Be Quantified. The problem with this way of thinking is that the impact of event sponsorship can be quite difficult to quantify, as are most tactics that are used to grow brand awareness. In fact, it’s well-documented that most marketers still struggle with attribution issues. Kader himself even cops to this by stating that his team had to go and “truly chase down closed won opportunities” and when they did that, they “didn’t find much correlation” which is indicative that his own marketing team shares in the challenge of understanding how different channels and tactics contribute to a buyer’s full journey to purchase. The reason I want to underscore why this is a troubled line of logic is because it’s a serious misstep for companies to completely avoid event sponsorship. Sponsoring events affords brands the unique opportunity to grow mindshare with an event’s attendees. Attendees by nature are an invested, engaged and highly targeted sample of a target market. 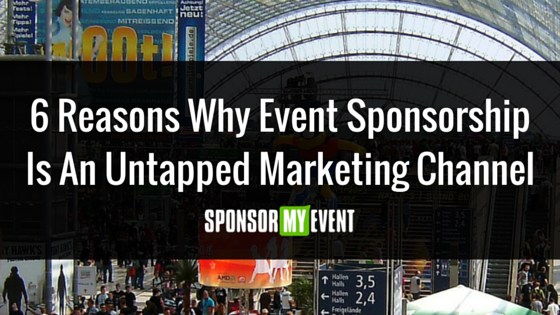 This is true of both B2B and B2C events and it’s why event sponsorship is a thriving market. Online marketing channels are becoming increasingly saturated and noisy which means that offline channels such as event sponsorship provide a unique opportunity for brands to connect with their target audiences in a meaningful, coherent way. 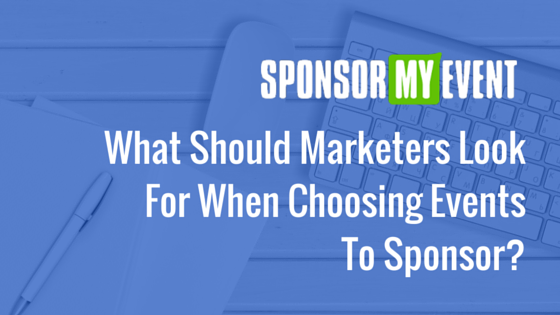 That being said, marketers bear the responsibility of choosing smart sponsorship by carefully vetting an event’s sponsorship prospectus and speaking with the event organizer to understand what the value prop is for any specific sponsorship. If what they’re seeing and hearing doesn’t align to their brand’s marketing objectives, they need to push back on event organizers to deliver more value or they need to consider other events. There are so many event organizers out there who do understand how to deliver equitable value for sponsorship and marketers who are reaping the benefits. What this means is that event organizers need to adapt their sponsorship offerings to reflect their sponsors’ methods of data-driven thinking. 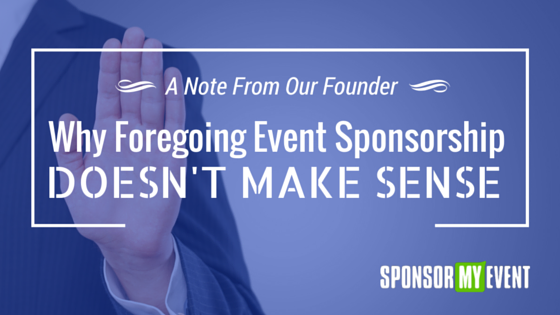 The days of event organizers having carte blanche to offer up pricey sponsorships without considering how those sponsorships will drive ROI for sponsors are over. 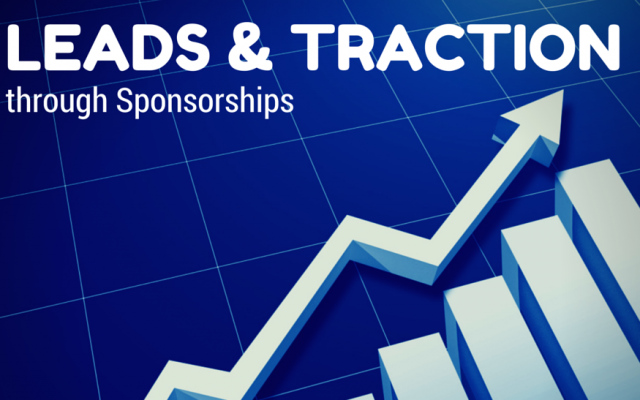 Most companies need actionable sponsorship options like speaking engagements, product placement, lead generation and product demonstration sponsorships and they need to be offered at a cost that can compete with other marketing channels’ cost-per-acquisition (CPA). Event organizers must come up with new and more creative ways to facilitate the sponsor-attendee dialogue so that attendees may enjoy an enhanced event experience while sponsors are able to derive value (and measure!) the impact of their sponsorship contribution. I’d also like to encourage marketers to demand new types of sponsorships and to demand that event organizers illustrate the ROI that they’ll receive from sponsorship. That ROI might be reflected in a quantifiable metric such as cost per impression (sponsored content), cost per demo, etc. or it might be expressed as a more intangible value such as brand representation at a key industry event. Whether quantifiable or not, event organizers should be able to clearly articulate what ‘return’ sponsors are to receive in exchange for their investment. That brings me to my final point: event sponsorship is not broken. It’s a marketing channel that has not matured at the same pace of growth that digital channels have seen in recent years and as a result, it’s significantly underutilized but it still has some growing up to do. Instead of ‘throwing the baby out with the bathwater’, I urge both marketers and event organizers to optimize their approach to event sponsorship because it has the power to foster a meaningful connection between brands and individuals. After all, sponsorship can provide brands with access to a targeted, engaged audience — isn’t that what marketers need most?